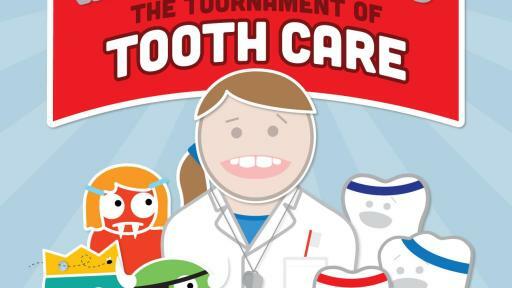 This February, the American Academy of Pediatric Dentistry (AAPD) is celebrating National Children’s Dental Health Month by hosting the Tournament of Tooth Care, showcasing how parents and caregivers can help their kids fend off the Mouth Monsters –a.k.a. tooth decay. Parents and caregivers can tune in to the Mouth Madness to learn how to help little teeth take on the Mouth Monsters one big game at a time. Tooth decay is one of the top chronic infectious diseases among children in the U.S. About 60 percent of children will have had tooth decay at some point by age five. More than 50 million school hours are missed every year by school-aged children in the U.S. due to dental visits or problems. And tooth decay isn’t just bad for oral health; children who develop tooth decay at a young age are at a greater risk for developing problems with oral and general health, as well as with educational and social development. Finding the right coach is the best way to ensure a lifetime of healthy oral habits, so parents and caregivers should find a pediatric dentist for their kids by age 1. However, it’s never too late for a first visit to the pediatric dentist. Pediatric dentists have 2-3 years of additional training after dental school specific to treating children focused on child psychology, growth and development and special health care needs. 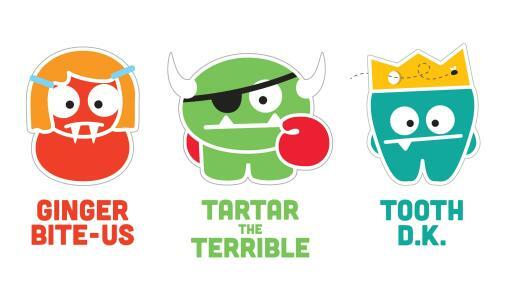 Parents and caregivers should make sure they set a game plan to help their child develop healthy oral health habits early. As soon as a tooth appears, start brushing twice a day and begin flossing when two teeth touch. 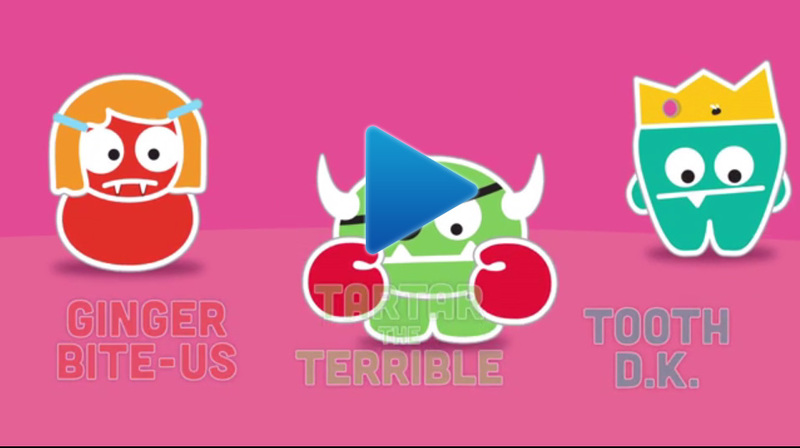 For toddlers and young school-aged children, discuss why healthy habits are important in terms they can understand. Parents and caregivers should brush preschoolers’ teeth and supervise brushing for school-age children until age 7 or 8, or about the same time they are able to tie their own shoes. 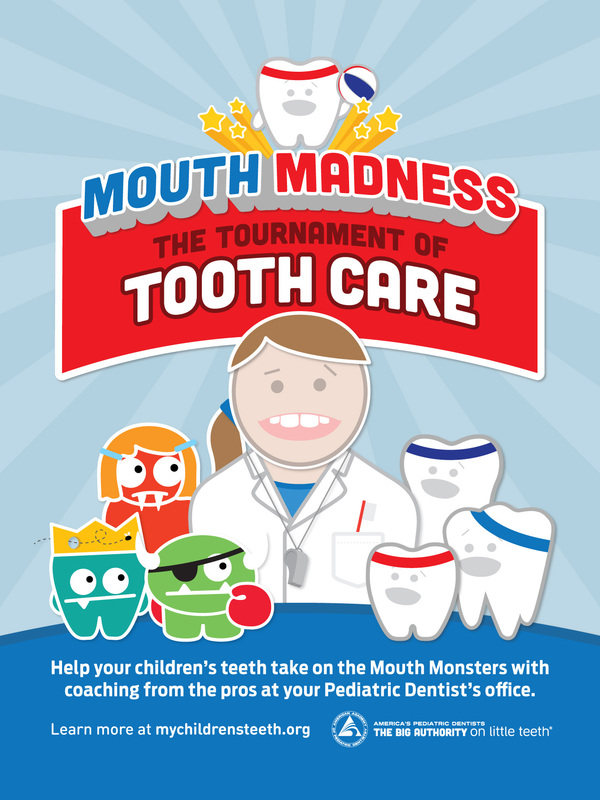 Follow along with all the Mouth Madness fun this February by visiting http://www.mychildrensteeth.org to find a pediatric dentist in your neighborhood as well as view updates on the Tournament of Tooth Care and information for parents and caregivers to help rally their kids to defeat the Mouth Monsters!